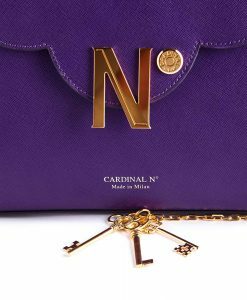 CARDINAL N° iconic ‘First lady’ top handle bag debutes this year as a perfect accessory to wear cross seasons. 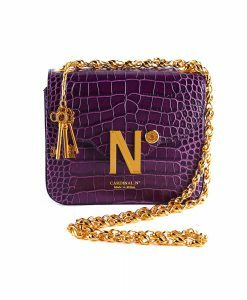 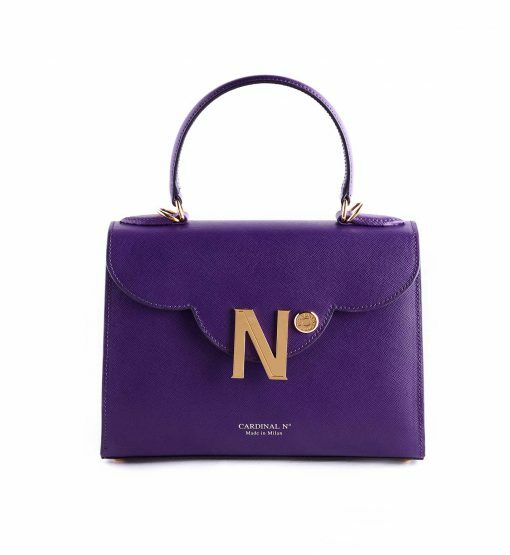 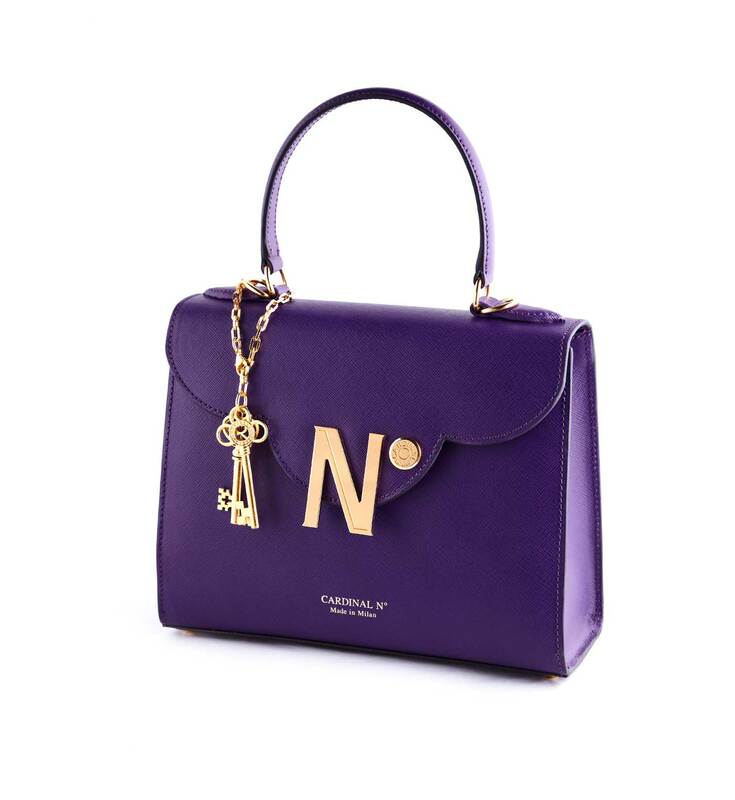 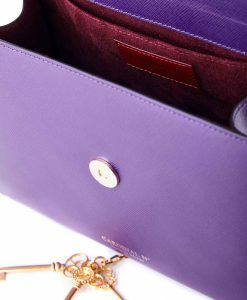 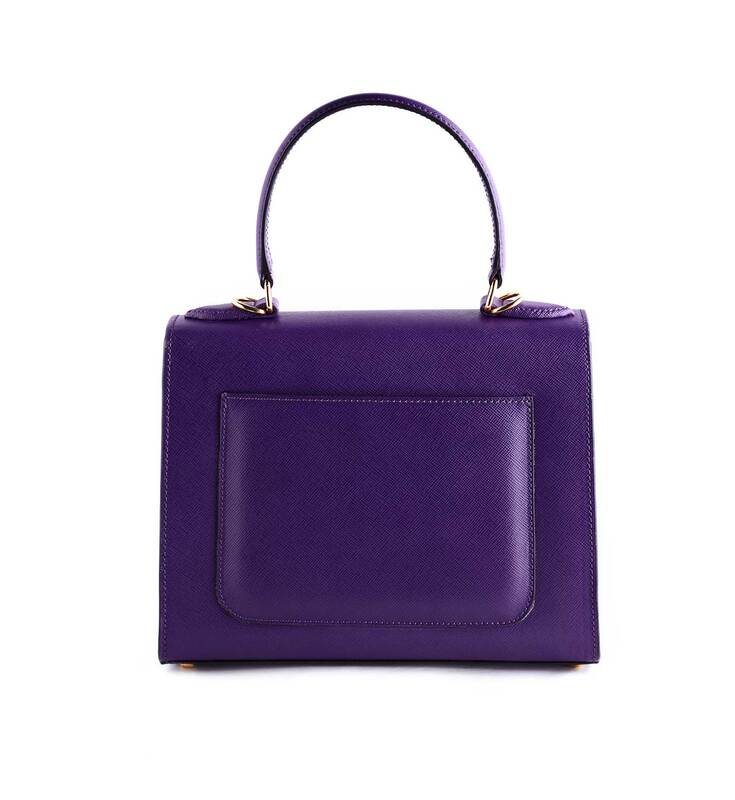 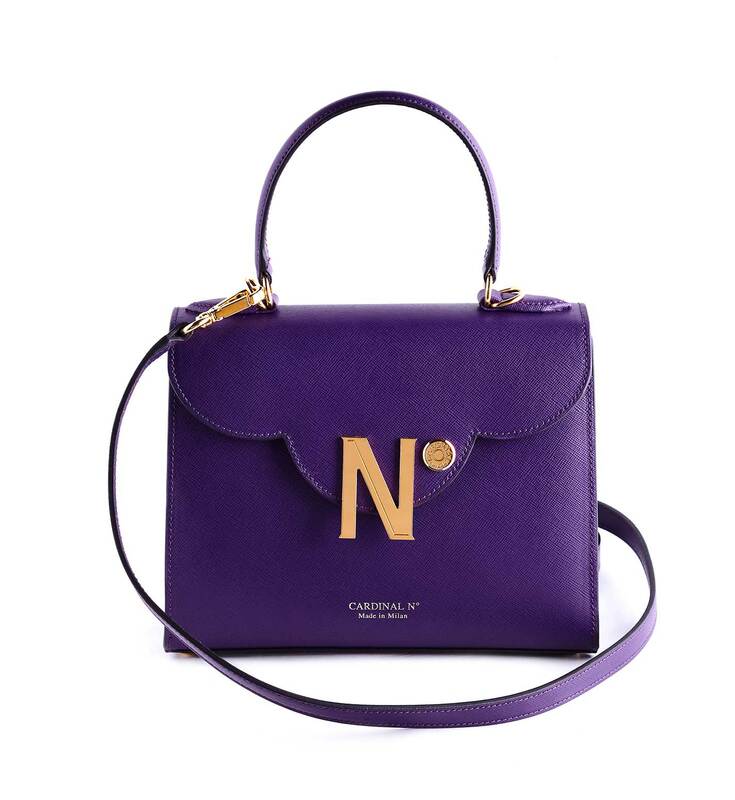 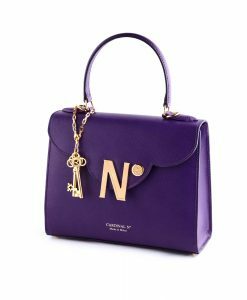 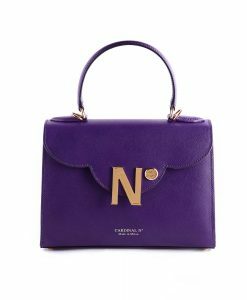 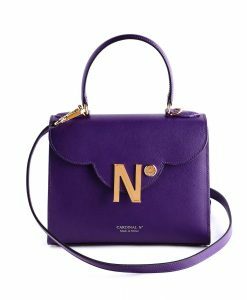 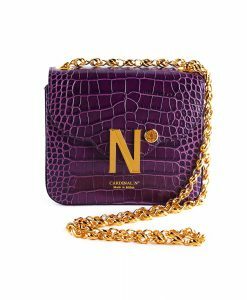 This versatile bag has been handcrafted in Milan from saffiano leather in beautiful purple hue. 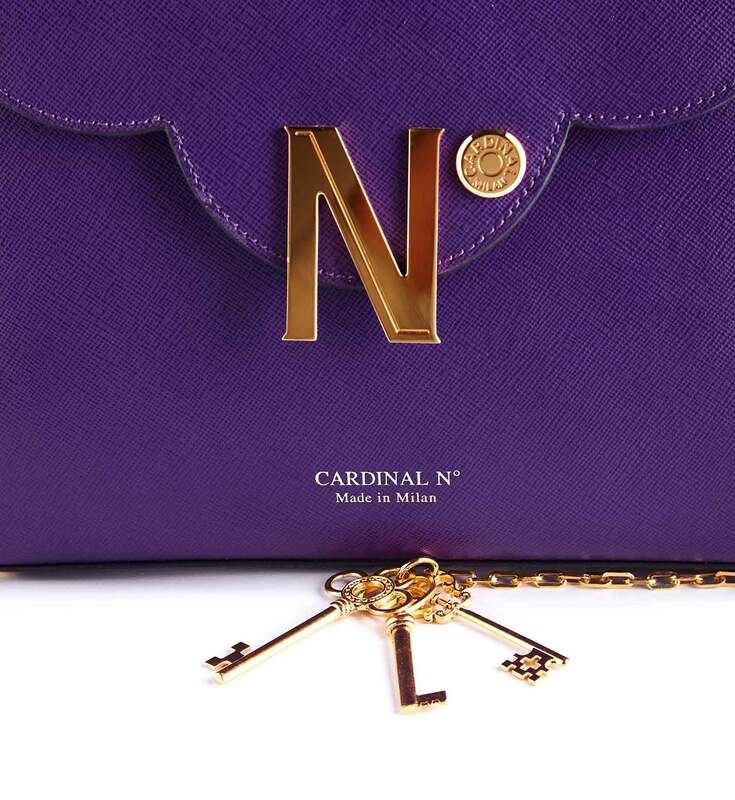 It combines refined details, including jewel-like detachable golden keys, with an elegant shape and clean lines. 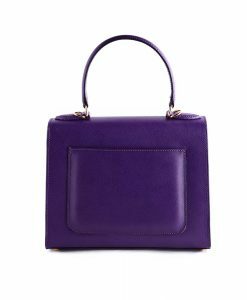 Its distinctive flap gives a modern architectural feel to the bag thanks to a trefoil flap – characteristic detail of Milan gothic architecture. Carry yours by the top handle or use the thick shoulder strap to go hands-free.